“Never before have I read a book and shouted, ‘Oh my God, that’s ME!’ Managing hormones is the most important issue of women my age. I don’t just want to read Sara Gottfried, I want her to be my doctor, my friend, and my sister. 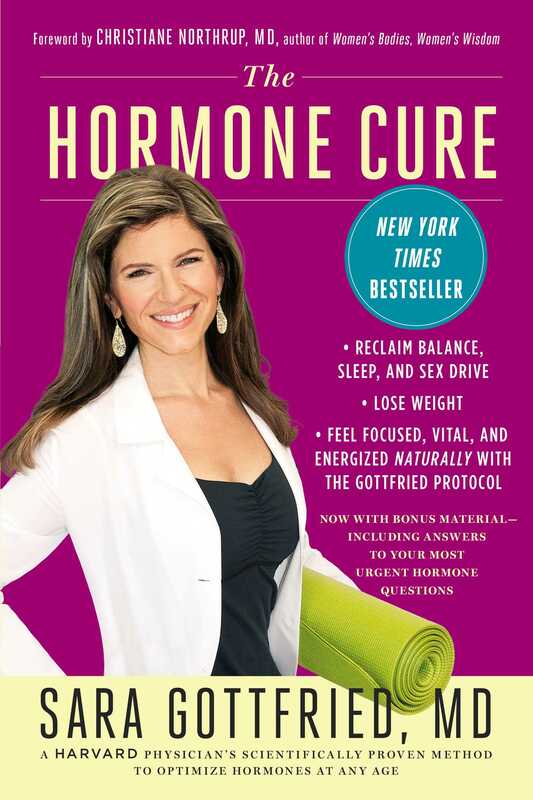 "Gottfried takes a comprehensive look at the most common physical and emotional ailments affecting women and explains why a hormone imbalance may be at their root. Her premise is simple: when a woman’s hormones are in sync, she’s a powerhouse, but when they’re out of whack, they wreak havoc on her body and mind. The book is both fun and an informative read [and] Gottfried’s take on the female body is eye-opening and empowering." "Gottfried, a beautiful Harvard Medical School graduate, board-certified gynecologist, and yoga teacher, looks like an advertisement for healthy living and convincingly pushes women to make lifestyle changes rather than immediately asking for conventional prescription drugs to treat problems such as depression. Most of her tips are solid and helpful...A valuable title."